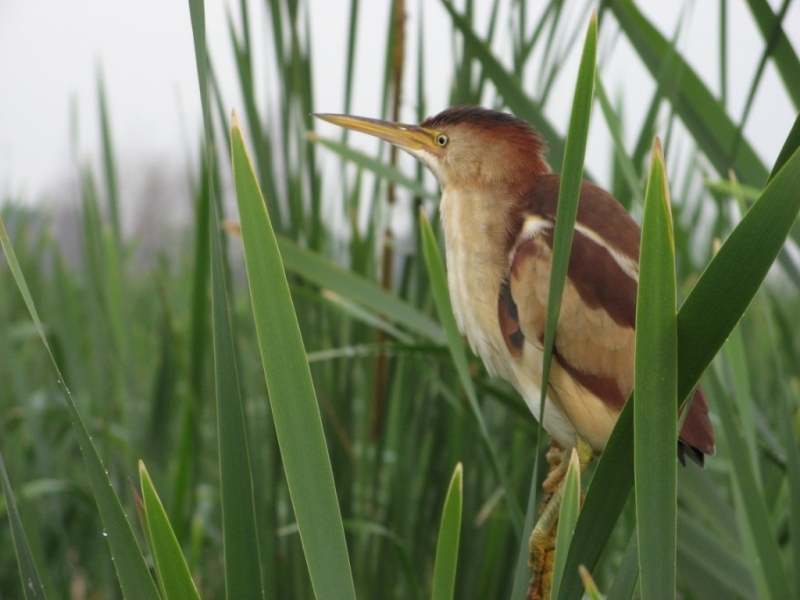 Please note: The Canadian population of least bitterns is estimated at less than 1000 pairs. 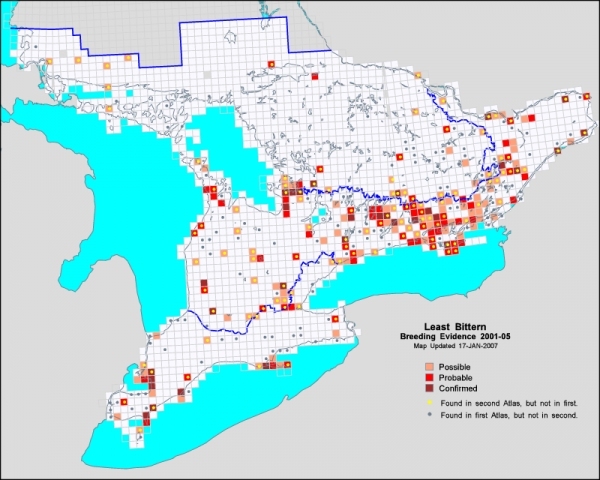 The majority of least bitterns that breed in Canada are found in Ontario. One of the smallest herons in the world at 28-36 cm it is more likely to be heard with their low “coo-coo-coo” call than seen. Have a long neck and bill. The bill is yellow with dark upper edge. Crown and back are black or dark brownish. Neck and sides are orange-brown. Front of neck and chest striped orange and white. Large golden patches in wings are visible in flight. White lines along the sides of dark back. Legs pink at top, green in front, and yellow behind. Males are darker than females. The top of the female’s head, the back and the tail are chestnut; it has two buff lines on its back and its throat and underparts are streaked with brown. Juvenile birds resemble the females but the feathers on the back have buffy tips and the crown and back are a light brown. Often seen at the base of cattails at the edge of the water. Holds a still, reed-like pose at the water’s edge while waiting for the approach of fish and other prey. Builds its nest on a clump of marsh vegetation barely above water level. Clutch size varies from 2 to 6 (usually 4 or 5) bluish- or greenish-white eggs. Thought that least bitterns can have two broods in one season. Large (5+ha) quiet freshwater marshes with dense tall aquatic vegetation, usually cattails, interspersed with clumps of woody vegetation and open water. Loss of wetlands, for example 90% of wetlands in south western Ontario are gone. Disturbance of nest areas by activities such as boating. Collision with cars and electric power lines. Migratory hazards, such as severe weather.  Support the protection of wetlands. Avoid wetland areas with your motor boat or if you must travel near wetlands, reduce speed so that no wake is produced.